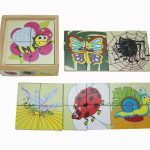 Kaper Kidz Wooden Insect Puzzle Box – Set 6 . 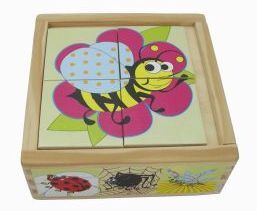 A simple puzzle for toddlers, with big pieces and cute, simple pictures. 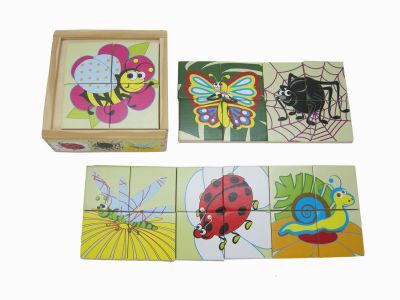 Set includes six wooden, 4-piece insect jigsaw puzzles — a snail, a spider, a butterfly, a ladybug, a dragonfly, and a bee — each stored in a sturdy wooden box! The slide on box lid doubles as a convenient puzzle board! Great for travel!